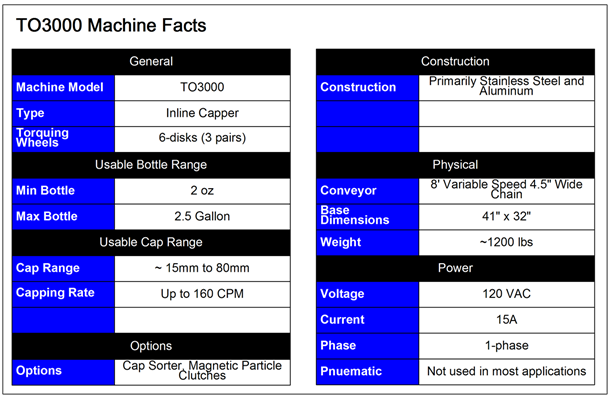 The PSR Automation Inc. T3000/C3000 is the easiest to use torquing and capping system available on the market. All adjustments can be performed with little or no change parts. The system is designed for quick changeovers (under 15 minutes) and can adjust to most bottle sizes and shapes in the 2oz - 2.5 gallon range. 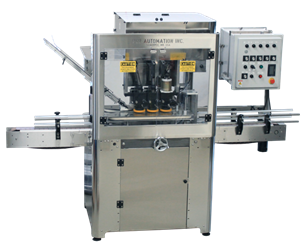 The machine's solid construction and superior design make it a favorite among contract packagers.